Homicides in Milwaukee are approaching a low point not seen since 2015. In the community garden on the corner of North 9th Street, Andre Lee Ellis, the founder of a program called "We Got This", aims to grow more than just fruits and vegetables. He is planting positive seeds within the community, striving to decrease violence in Milwaukee. "If you want change to happen, you got to make it happen. Don't talk about it, be about it," said Ellis. Last harvest, the violence hit close to home for Ellis. Two children and a volunteer with We Got This were killed in Milwaukee's streets. That's why the mission to bring peace is important to him. "Imagine if everybody had a garden...We all keep our hands in the good soil, and who would have time to put their hands on a trigger of a pistol?" said Ellis. Slowly, progress is being made. The number of homicides in the City of Milwaukee are on track to be the lowest since 2015. According to MPD, there has been 96 homicides in the city this year. In 2015, 147 people were killed. 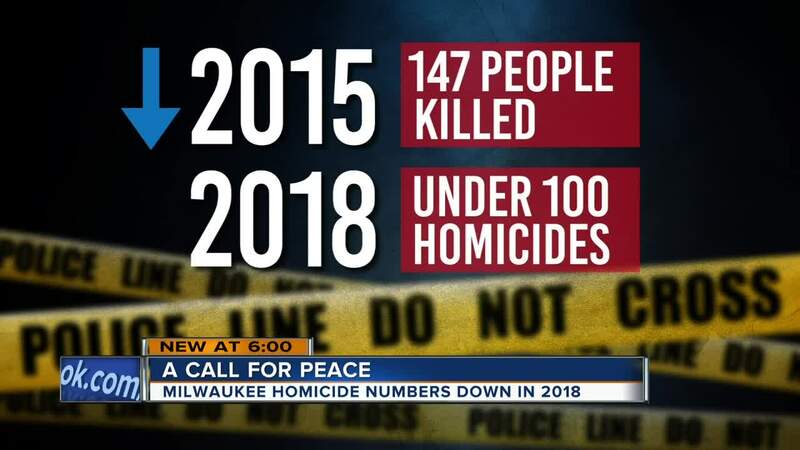 Reggie Moore, the Director of the City of Milwaukee Office of Violence Prevention, said through the Blueprint for Peace, awareness, education and support changes can be made. "It's really about holding leadership at every level accountable and each other accountable, to say are we going to prevent violence in the front end, or continue to react to it on the backend," said Moore. Moore said one homicide is one too many, and hopes violence will cease within our community. "It’s about how do we work together collectively across all sectors of our community to stop the violence in Milwaukee," said Moore.